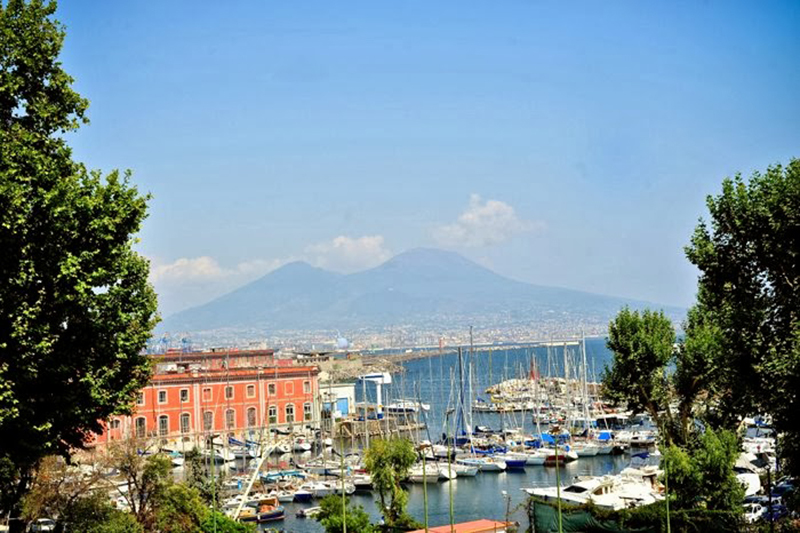 Naples, Italy | A piece of my heart will always be in bella Napoli, Italia. I moved there when I was in fourth grade (US) for three years and for another few years when I was in 9th grade. 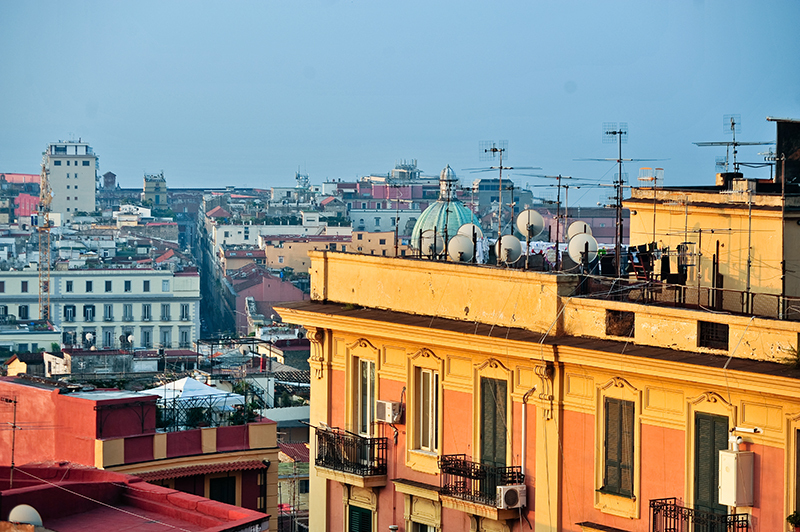 With my nomadic upbringing people ask me where I consider ‘home’ and Naples has always been a place close to my lips in response. I was so happy to return there in the summer of 2012, bringing with my husband for the first time. We had been married for nine years at that point and together for eleven and he had not yet seen where I had ‘grown up’. Some day soon I cannot wait to bring our sons there, to meet my familia and friends, and to eat all the amazing food we miss so much. China | While I have been to Asia, I have not yet been to China and it is on my wanderlust list. Since my husband has learned Mandarin, I have wanted us to go where he could use the language. I would love to not limit ourselves to a vacation of several days or a couple of weeks, and go for a few months. I am even open to any opportunities that would take us to live there. I will say that learning Mandarin has been intimidating to me. The boys and I are now trying to learn it on our own at home. I know it would be so much easier if we were in country, forced to use it daily and to be immersed in our every day lives. Being a foodie, I would jump at the chance to fly there today just to try so many different foods I have seen from television programmes filmed in China. It is a whole new world that I have not yet been and so it definitely is on my list of places I ‘cannot wait to visit’ one day. Until then I travel vicariously through bloggers who link up weekly with us like my Travel Tuesday spotlight for the week, Jenna, who is currently teaching in China. 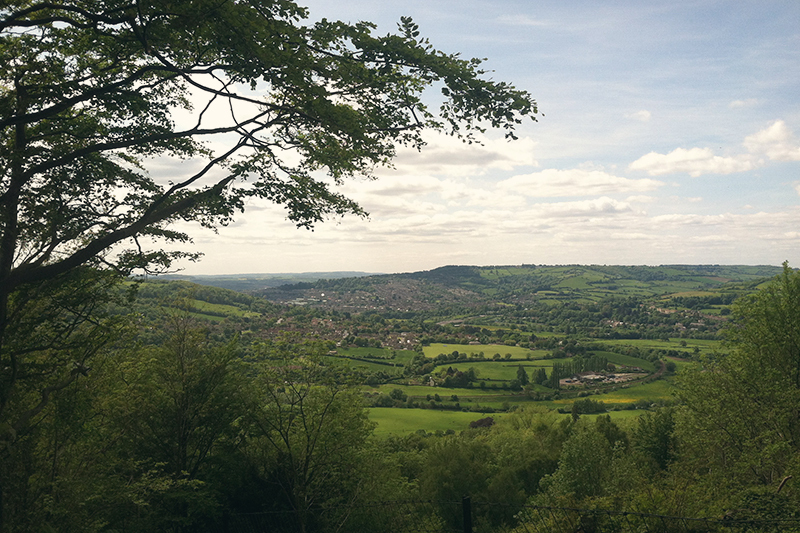 Bath, England | For the last fourteen months the city of Bath in Somerset has been our home. As the months go by we find ourselves slowly becoming more settled and feeling more and more at ‘home’. 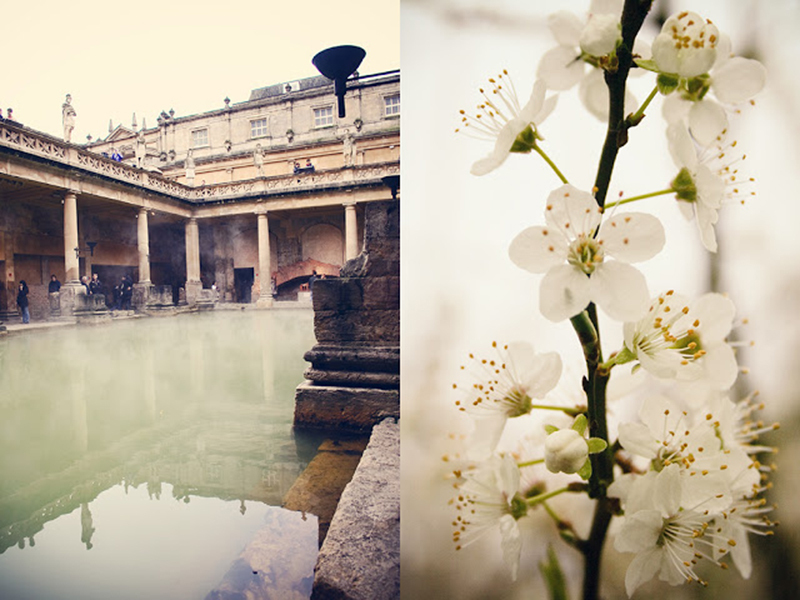 Bath is a beautiful city of history and culture and for us it has become a special location. For the first time in my life I do not have a reason to move from here in the next couple of years. The reason I have always moved has been either because of the military or school. Neither is a factor and both my husband and I are now in jobs we both love. We have started finding a place in the community by being involved in the community theatre. We are both currently in the rehearsal stage of second show each since moving to Bath. When we are not at work, rehearsal, or the kids are not in school we find so many great things to do in the area. 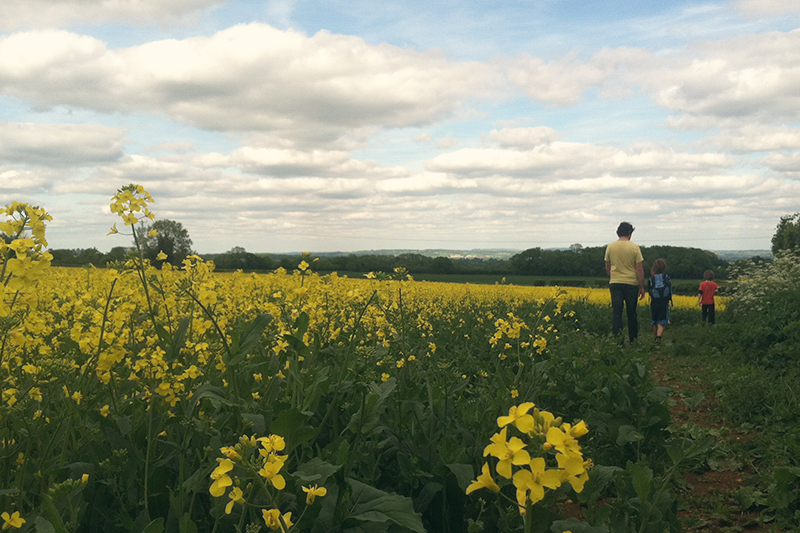 Including but not limited to visiting nearby towns, country walks in the countryside, kayaking down the canals, sightseeing in Bath, and trying out new places to eat. As a nomadic person I look forward to seeing how I feel in another fourteen months and if this could be a city we could definitely start putting down roots. I would love to hear about your three places! Make sure to link up with your posts below and comment here to tell me about it! When I first started participating in Travel Tuesday it was hosted by the charismatic blogger, Helene. When she stopped doing it I was really gutted as I loved the link up. So alongside fellow expat Belinda we started it up again. Since those early days I have begun a way to get more people involved with having co-hosts that join in on three-month terms. I had started it with the idea of having one person to replace the open co-host spot, but ended up selecting two instead. Today I happy to announce I am continuing to let Travel Tuesday evolve and will be announcing three co-hosts for the months of May, June and July. Melanie and Tina helped me select individuals who have actively participated in our link ups over the last three months and who have shown to show their enthusiasm to other bloggers who link up for Travel Tuesday. A big welcome to Kiki, Van, and Sammy to Travel Tuesday! We all look forward to having you on board for the next three months. Please look out for an email from me which will be going out later today. Again I would like to say thank you to Melanie and Tina who have been just amazing and so much fun over the last three months. You constantly remind me how amazing this blogging community is and I am truly blessed to count you as friends. Thank you Bonnie, Melanie and Tina for choosing us three! I’ve really enjoyed TravelTuesday over the last couple of months and look forward to being a part of it in the future! Italy is my place to visit next for today’s post! China would be quite the adventure, and a bit challenging I’m sure. Bath looks/sounds lovely. I am so excited thanks so much for choosing me as the one of the co-host alongside some wonderful bloggers! I am looking forward to more travel Tuesday fun! I love this prompt! I didn’t really have the time to add a post this week, but I couldn’t resist. What a fun theme this month! 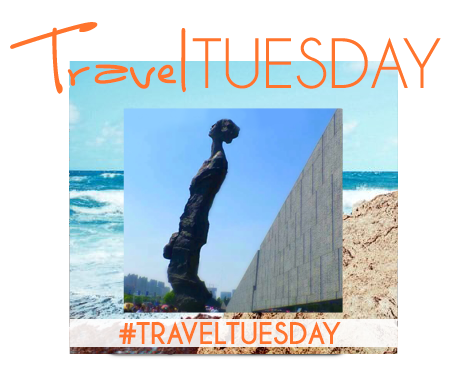 Great prompt for today’s Travel Tuesday! 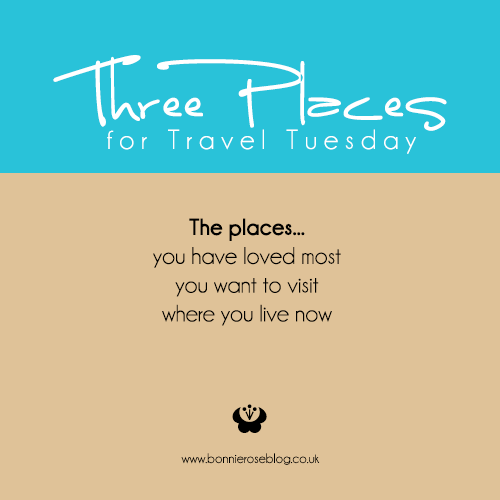 I loved reading your 3 places! I really must think long and hard about mine – there are so many wonderful places I’ve fallen in love with while visiting and I feel like there is still so much of the world I can’t wait to see This prompt really helps fuel my wanderlust! 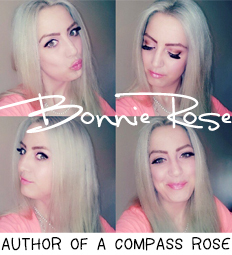 thanks so much for featuring me; ive just added my own post to the link up and will check out lots later! Super impressed about the Mandarin. I’ve always wanted to visit China, but only just got the urge to learn the language now that my brother is engage to a girl originally from China. With the exception of her sister, her whole family speaks limited English. But the Mandarin sounds so beautiful when the speak it! Love the list! Can’t wait to see Napoli this summer. I will probably be humming Sinatra’s “That’s Amore” song the whole time I’m there. 😉 Just stumbled across the Travel Tuesday theme this past week and wrote a piece but didn’t link it up (oops!). Maybe next time! Teaching in China sounds like a good option to contemplate. We did it for six months and would recommend it to anyone. Of course, the longer/the more teaching experience the better! I love this idea! I’m still doing an A to Z Challenge and I just could not make my post fit the theme…but I might borrow this idea later Bath looks beautiful, how nice that you like it enough to stay there for awhile! Bath looks like a perfect place for a weekend!